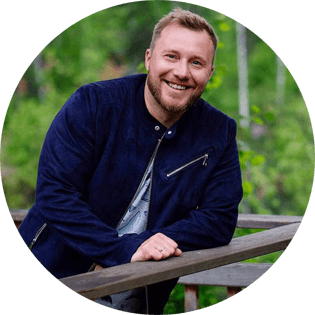 How do you want the end product to look? Have you done any prep work to the wood beforehand? 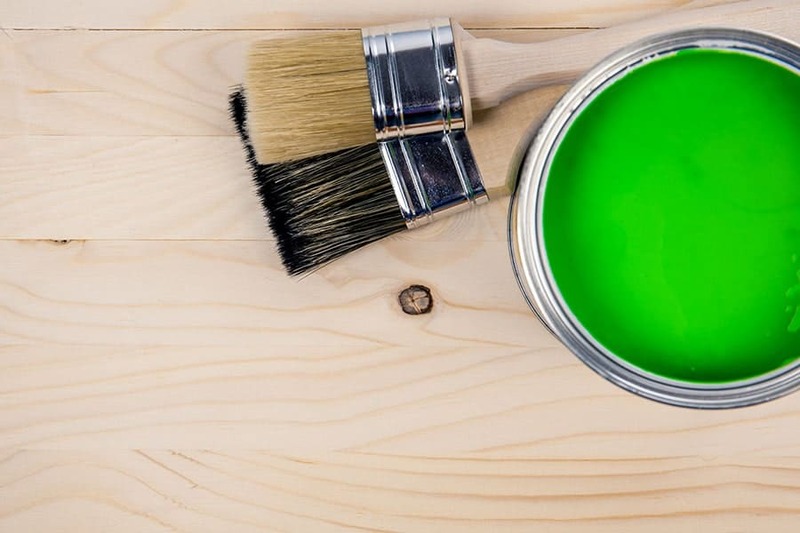 Just a few moments of thinking can save you the trouble or redoing your work or prevent you from having to apply multiple coats to get the finished product to match your vision. Before you put brush to the surface, consider what kind of paint to use on wood. 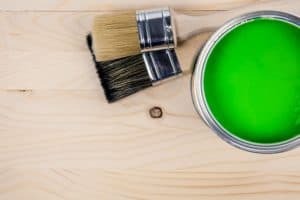 You may think that paint is paint, but the truth is that there are several different types of paint that you could use on your wood project. Knowing more specifics about each type will help you to choose the best paint for your needs. Many people choose oil-based paint because of its durability when you’re finished with your project. You’ll find that oils create a smooth surface when the paint has dried, giving you a nice matte or glossy finish, depending on the type of paint that you select. Even better, most projects completed with oil-based paint don’t require a topcoat to get this sheen. However, to enjoy that smooth finish, you have to use a high-quality paint brush rather than a roller. Choose one that specifically claims to work well with oils to get the best results with this somewhat temperamental paint option. 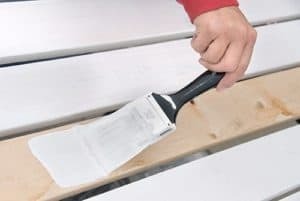 Make sure that you are painting directly on the bare wood or on the primer with this type, too, since oils don’t mix well with a latex underneath layer. Be prepared to clean your brushes and your hands afterward with paint thinner or mineral spirits because oil-based paints are tough to remove. You can find that it’s much easier to work with latex paint than oil-based paint. Of course, the ease of use translates to reduced durability and to greater instances of visible brush strokes in your finished product. Try mixing in a little Floetrol into your paint source to reduce the number of visible brush strokes. Depending on your project, consider what type of finish you want to your latex paint. Generally, a gloss or semi-gloss won’t need a topcoat, but a satin or matte finish will take a topcoat for the best results. Latex paints can be cleaned with simple soap and water, making completion of the project a breeze. Most paints sold in hardware and big-box stores are water-based because they are possibly the easiest of all project paints to use. You don’t need to do a pre-treatment of the wood, unless it was previously painted with an oil-based paint, and there is generally no need to fear mildew growth or high levels of odor. Water-based paints dry very quickly, and the color typically resists fading and cracking. Common types of water-based paints include chalk paint and milk paint. Because water is the base of these paints, clean up is the easiest with this type also. Simply apply water to your brushes, and wipe down any surfaces with stray paint smears. Depending on your wooden project, you may be able to use acrylic craft paint. This is best for small projects or for those that are especially artistic in their appearance. Acrylics dry very quickly and have almost no odor. They are available in a wide range of colors, finishes, and decorative options. For example, you can easily mix acrylic paints to create your own colors, and they are fairly simple to use to create special color effects like ombre. Acrylic craft paints are inexpensive and can be purchased in a variety of quantities to match the size and scope of your projects. With this type of paint, you can reuse your brushes again and again if you make sure that you wash them out right away after use. Whether you’re planning to paint finished or unfinished wood, you should really apply a layer of good primer. Wood is an organic compound, and it tries to absorb any paint that you apply, which will affect the quality of your finished product. Consider the type of wood you are painting to determine how much primer to use as well. Woods like knotty pine that are dark and tannin-rich need primer the most. However, primer on any type of wood will provide a more even foundation and will give you a more uniform paint finish to your project. Once you know the different types of paints available for your wood project, you still need to know which type is best for different types of projects. Choosing the right type of paint can make the difference between a messy amateur project and a looks-so-good-it-must-be-professionally-done project. Don’t forget to pay attention to the various sheens for latex paints in particular. You can choose between matte (flat), eggshell, satin, semi-gloss, and high-gloss options, listed here in order from lowest to highest luster. Keep in mind that higher sheens often cost a more than matte options. Milk, chalk, and acrylic paints are generally more matte in finish. When you’re working with wooden furniture, your choice of paint type can depend greatly on the finished look that you want to achieve. For example, choose chalk or milk latex paints to create distressed furniture. With a matte finish, milk latex paint in particular distresses easily through paint cracks and flakes, creating that weathered look that many people want for their dressers, sideboards, and headboards. Try chalk paint, which doesn’t distress quite as easily, for items such as tables and wooden coat racks. Because chalk paint is tougher to flake, you’ll have more control over the amount of distressing on these pieces. If you’re looking for a smoother finished product, try oil-based paint on your wooden chairs, tables, and other frequently used household furnishings. Oil paints dry quickly, so you won’t lose much time without your daily furniture. Even better, this type of paint is strong, so it’s less likely to dent or scuff when you use it on your table or chairs legs. You can also use acrylic paint on furniture; it gives an extremely smooth finish. However, it does take a long time to dry, and it can be expensive to use acrylic paint in large quantities. Choose acrylics for small or statement pieces. 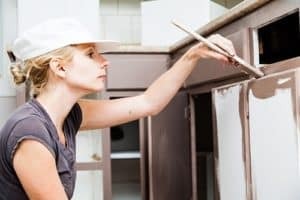 If you’re wanting to paint or repaint your wooden kitchen or bathroom cabinets, you’ll want to be very careful about the type of paint that you choose because of the unique conditions in these rooms. Bathrooms deal with a lot of moisture and steam from the bath and shower, and kitchens also face moisture from boiling water and other cooking functions. Because of these conditions, be aware that your wooden cabinets are more likely to mold or grow mildew on their surfaces. Therefore, you need a pint that is moisture-resistant and that repels rot. Look for an oil-based paint in a semi-gloss or high-gloss to create a smooth, non-porous finish that will prevent water from being absorbed. The smoothness of this finish also allows you to more easily clean the surface when you splatter food or other materials onto the front of your cabinets. However, if you’re planning to paint the interior of these cabinets, consider using a flat or satin sheen on the shelves because it is less sticky and is stronger for holding the weight of dishes or soap bottles. For cabinets in rooms that don’t have moisture issues, choose a latex paint. This fast-drying, inexpensive office is great for a home office or an entertainment room where only semi-regular cleaning is necessary. 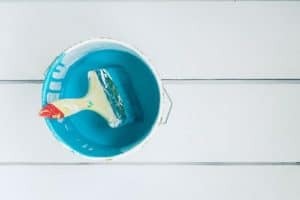 When you’re planning to paint your floor, you need to be very careful to choose strong paint that can handle stomping shoes, sopping umbrellas, and scooting furniture. Floors can be damaged in a matter of seconds from any number of different foot-traffic issues. Using an latex paint is the best choice, especially in a semi-gloss or high-gloss finish. This smooth finish will make it easier to sweep and to mop. If you can’t use a latex paint immediately on the wood, use an oil-based option but follow it with a polyurethane topcoat for wooden floor to lock in the paint color and to prevent damage. Allow plenty of time for your floor to dry before you use it, or it could be sticky. For interior trims like baseboards and door casings, choose an oil paint for its rigid durability. Wooden trims close to the floor or around doors in particular often face dings and scuff marks, and oil-based paints are strong in protecting against this damage. This type of paint is also smooth for dusting and regular cleaning. For decorative wooden trims with scrollwork or other ornate decorations in crown moulding, choose a latex paint that will more easily get into the grooves and recesses of the wooden pattern. This will give you more uniform paint coverage. A flat or satin latex will give you smoother coverage and won’t require frequent cleaning to look good, but you need to start with a smooth surface that has been well-sanded. 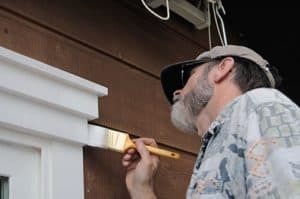 Decorative trim is notorious for showing a poor paint job, so prep the surface thoroughly before you carefully paint the moulding. Before you paint bare wood, use a good-quality wood putty to make sure that you fill in all dings and deep gouges to create a smooth surface. Fill the spots, sand down the putty once it’s dried, and then prepare the surface for primer. For bare wood, the primer is necessary to create a uniform surface on which to add the paint. Choose a primer that is specially formulated for either indoor or outdoor surfaces, depending on what you’re painting. Keep in mind the weather conditions that your wooden deck will encounter when you’re picking your paint. High heat could produce bubbles and chips, and icy winter conditions could cause the paint to flake off and wear unevenly. If you often entertain or if your deck will see frequent foot traffic, avoid oil-based paints. Although they are smooth, you’ll need to redo the oil paint fairly frequently to maintain its appearance. Instead, you’ll want an acrylic paint specially formulated for outdoor conditions and possibly intended to resist moisture and mildew. Wooden knickknacks are often painted, and the type of paint you use is often dependent on the size and scope of the project. Try an oil-based paint for larger wooden jewelry boxes and photo frames, but switch to a craft paint for smaller decorative knickknacks that require multiple colors. You may want to consider a polyurethane topcoat to really lock in the paint color and quality before you display your wooden knickknack. There are several different types of paint, and knowing what kind of paint to use on wood can seem daunting at first. However, consider your wood project to inform your choice, and you’ll choose the type of paint that will withstand daily use and cleaning. Definitely, the best paint will give you the best results. With these tips, you’ll end up with a wooden project that is exactly what you were hoping to create.